Explore hidden gems such as Daintree National Park and Wildlife Habitat Port Douglas. Visiting Palm Cove Beach and Mossman Gorge will get you outdoors. Spend the 11th (Sat) among aquatic life with a scuba or snorkeling tour. Spend the 14th (Tue) wandering through the wild on a nature and wildlife tour. The adventure continues: kick back and relax at Trinity Beach, take in nature's colorful creations at Botanical Gardens, and take in the architecture and atmosphere at St Monica's Cathedral. For photos, reviews, traveler tips, and more tourist information, read our Cairns trip maker site . Edinburgh, UK to Cairns is an approximately 28-hour flight. You can also do a combination of train and flight. Traveling from Edinburgh to Cairns, you'll lose 10 hours due to the time zone difference. Plan for much hotter temperatures traveling from Edinburgh in January, with highs in Cairns at 37°C and lows at 28°C. Finish your sightseeing early on the 15th (Wed) to allow enough time to travel to Hamilton Island. You'll discover tucked-away gems like Scuba & Snorkeling and Hamilton Island Golf Club. Visiting Catseye Beach and Jetryder will get you outdoors. Next up on the itinerary: go for a stroll along the water at Hamilton Island Marina, explore and take pictures at Go-Kart Racing Track, and view the masterpieces at Hamilton Island Art Gallery. To see photos, other places to visit, maps, and more tourist information, read our Hamilton Island trip itinerary builder app . Fly from Cairns to Hamilton Island in 2.5 hours. Alternatively, you can do a combination of bus and ferry; or do a combination of train, bus, and ferry. In January, daytime highs in Hamilton Island are 35°C, while nighttime lows are 28°C. Wrap up your sightseeing on the 18th (Sat) early enough to ride a ferry to Airlie Beach. Eschew the tourist crowds and head to Airlie Beach Lagoon and Queensland Yacht Charters. Take a break from the city and head to Scuba & Snorkeling and Boathaven Beach. And it doesn't end there: paddle through the water with a kayaking and canoeing tour, explore the activities along Heart Reef, relax and rejuvenate at some of the top local wellness centers, and explore the galleries of Art Whitsunday Gallery & Shop. To see ratings, more things to do, photos, and tourist information, use the Airlie Beach trip planner . Getting from Hamilton Island to Airlie Beach by ferry takes about an hour. January in Airlie Beach sees daily highs of 34°C and lows of 28°C at night. Wrap up your sightseeing on the 23rd (Thu) to allow time to travel to Bowen. Bowen is a coastal town and locality in the Whitsunday Region on the eastern coast of Queensland, Australia. Kick off your visit on the 24th (Fri): take an in-depth tour of Bowen Historical Society and Museum, make a trip to Mother Beddock Rock, then tour the pleasant surroundings at Grays Bay, and finally enjoy the sand and surf at Horseshoe Bay. For traveler tips, more things to do, ratings, and more tourist information, read Bowen online road trip planner . Traveling by car from Airlie Beach to Bowen takes an hour. Expect a daytime high around 36°C in January, and nighttime lows around 26°C. 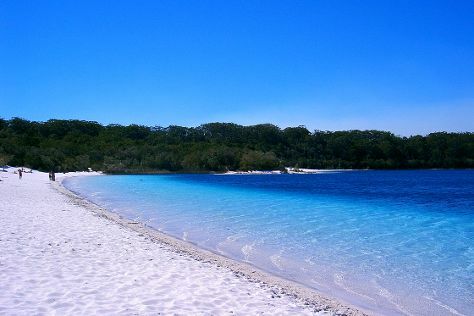 Finish up your sightseeing early on the 24th (Fri) so you can travel to Fraser Island. Discover out-of-the-way places like Lake McKenzie and Eli Creek. Get outdoors at Seventy-Five Mile Beach and Champagne Pools. To find ratings, traveler tips, reviews, and more tourist information, read our Fraser Island planner . Explore your travel options from Bowen to Fraser Island with the Route module. In January, daily temperatures in Fraser Island can reach 36°C, while at night they dip to 24°C. Cap off your sightseeing on the 28th (Tue) early enough to travel to Gold Coast. Get a sense of the local culture at Jules Hunt Studio Gallery and 19 Karen Contemporary Artspace. Eschew the tourist crowds and head to Coolangatta Beach and Stand-Up Paddleboarding. 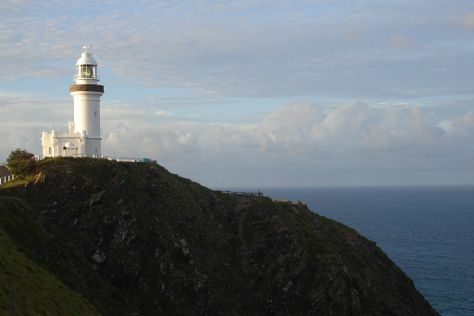 Explore the numerous day-trip ideas around Gold Coast: Broken Head (Broken Head Nature Reserve & Broken Head Beach) and Cape Byron Walking Track (in Byron Bay). There's much more to do: kick back and relax at Burleigh Heads Beach, meet the residents at Currumbin Wildlife Sanctuary, take in panoramic vistas at SkyPoint Climb, and stroll through Tugun Beach. For more things to do, reviews, other places to visit, and other tourist information, go to the Gold Coast trip itinerary planner . Do a combination of car and ferry from Fraser Island to Gold Coast in 8.5 hours. Alternatively, you can do a combination of car, ferry, and train; or do a combination of car, ferry, and bus. In January, plan for daily highs up to 33°C, and evening lows to 24°C. Finish up your sightseeing early on the 2nd (Sun) so you can travel to Sydney. Your itinerary includes some good beach time at Bondi Beach and Manly Beach. Do some cultural sightseeing at Sydney Opera House and Australian National Maritime Museum. 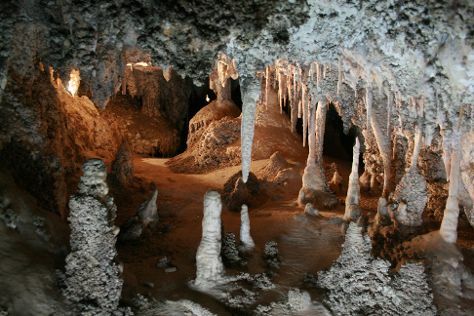 Get out of town with these interesting Sydney side-trips: Megalong Creek Estate (in Megalong Valley), Katoomba (The Three Sisters, Wentworth Falls, & more) and Jenolan Caves (in Jenolan Caves). There's lots more to do: wander the streets of The Rocks, enjoy the sand and surf at Camp Cove, explore the world behind art at Brett Whiteley Studio, and hike along Cathedral of Ferns Walk. For traveler tips, where to stay, maps, and more tourist information, you can read our Sydney trip builder . Traveling by flight from Gold Coast to Sydney takes 3.5 hours. Alternatively, you can do a combination of train and flight; or drive. February in Sydney sees daily highs of 31°C and lows of 23°C at night. Finish up your sightseeing early on the 7th (Fri) so you can travel to Melbourne. Step out of the city life by going to Eastern Beach Reserve and Somers Beach. Discover out-of-the-way places like 13th Beach and Rye Ocean Beach. You'll find plenty of places to visit near Melbourne: McCrae Beach (in McCrae), Tyde (in Cowes) and Healesville Sanctuary (in Healesville). There's still lots to do: tour the pleasant surroundings at Cape Woolamai Beach, examine the collection at Federation Square, kick back and relax at Torquay Front Beach, and identify plant and animal life at Yea Wetlands. To see more things to do, other places to visit, traveler tips, and tourist information, read Melbourne trip itinerary maker tool . Traveling by flight from Sydney to Melbourne takes 3.5 hours. Alternatively, you can do a combination of flight and shuttle; or drive. Expect little chillier evenings in Melbourne when traveling from Sydney in February, with lows around 16°C. Finish your sightseeing early on the 15th (Sat) to allow enough time to travel back home.